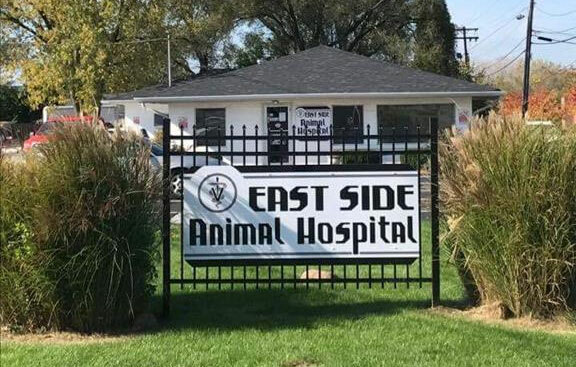 Welcome To Eastside Animal Hospital! It is our mission to provide quality pet care and owner education to promote health and well-being for cats and dogs at every stage of life! We are a team of compassionate caregivers who's goal is to treat each patient like our own. We give each patient plenty of love and attention. Our veterinarians and staff are prepared to discuss preventative medicine to keep your pets healthy. If your pet is not feeling well, or injured we are able to perform diagnostics, including blood tests, urinalysis, digital x-rays and ultrasound to determine the cause of the problem so we can start your pet's treatment. We are a full service veterinary practice providing excellent medical and surgical care.